Updated August 6, 2009 - The weather station and house move to Littleton, Colorado is complete. This website been generally modified to reflect our new location in the Northeast area of Littleton, CO. There will some additional enhancements and addtions coming soon. 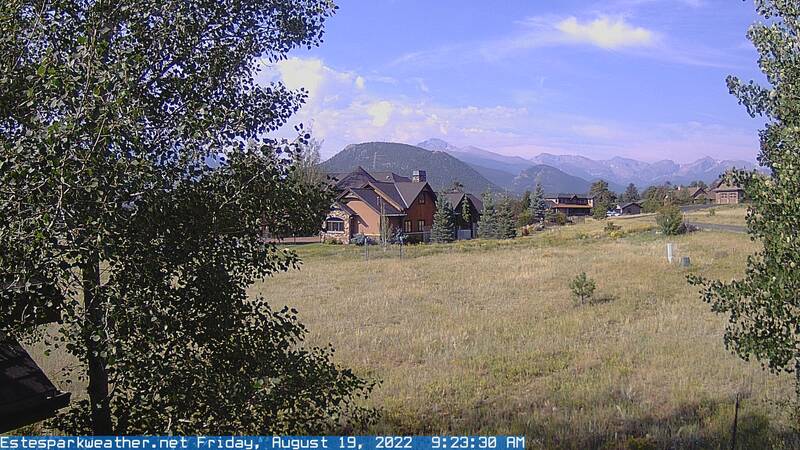 At this time, there is no webcam for Littleton, please enjoy the webcam view from EstesParkWeather.net at this time. Thursday 7/30/2009 -- Weather Station taken down in Parker. This website was primarly created as a public service for residents of Littleton, Colorado and Vicinity. This weather station is privately owned and operated, is not affiliated with the City of Littleton, Colorado. and should not be considered an officially recognized station for weather. As of August 2009, our family moved to Littleton, Colorado and I have moved my weather station to this location as well. I have kept the historical data from my 3.5 years of living in the Pinery in Parker, CO on this website. Prior to this, this website previously operated as Greg's Broomfield, Colorado Weather (www.broomfieldweather.com). I have changed the design, & format, and how the data is displayed but the weather station and location is the same. Click	here to see a screen shot of my former weather website design. The data you see on ExceptionalWeather.com's website is primarly fed from a personal weather station at our home utilizing high quality weather instruments, as well as other data sources, including the National Weather Service to provide local, accurate, and timely weather conditions for the greater Littleton, Colorado Area. I hope you enjoy using this website and welcome any comments, suggestions. Or use my online contact form at Gregorytruta.com. Main Weather Station unit is a Davis Wireless Vantage Pro2 Plus with UV & Solar Radiation Sensors. Anenometer - part of the Vantage Pro II, mounted high above our house in Parker, Colorado, free of trees and other structures. Below the Anenometer is a Stardot Netcam webcam. - The NetCam webcam is a ruggedized high quality digital camera and small computer that transmits to ExceptionalWeather, via a CAT5e Network cable, images of outdoor weather conditions. It is housed in a rugged outdoor camera enclosure.